The new Vogue Paris is out on shelves this week and it’s a bumper 95th anniversary edition and the best in some time. It is bulging with brilliant photography, fashion and French icons. There are four covers to choose from. The selection is between Gisele Bündchen, Kendall Jenner, Christy Turlington and Kate Moss. Well that was a very easy choice for me – it’s Kate Moss all the way. I’ve always loved her style and that raw Croydon accent. 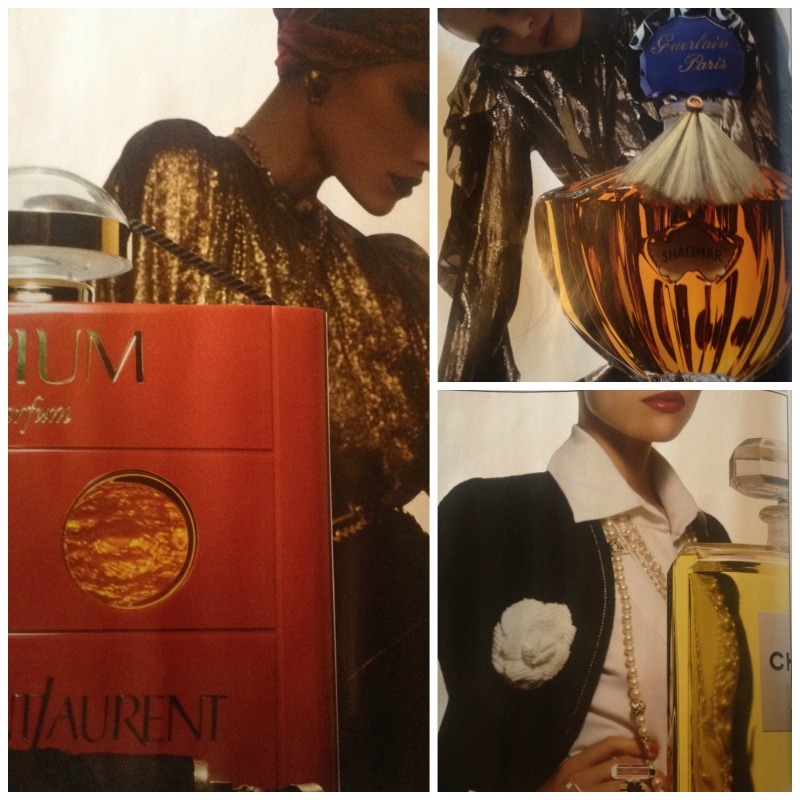 There is a feature in the magazine where six French “Parfums Mythiques” are discussed. These are classic perfumes that have been global successes and are still relevant today. Can you guess what they would be? Well you may be surprised by a couple but I suspect the majority would agree with at least two or three of these choices. Five of them were on the Top 10 list of perfumes sold in France last year so they are still popular. Shalimar is even having its 90th birthday this year – now that is something. I very much doubt that many of the perfumes that are being made today will be able to experience that longevity in terms of availability and success. Here are the photos that illustrated the feature taken by Thomas Lagrange. I would have thought that J’Adore would now be considered a French classic as well. And 10 French niche classics? Well that would be a whole other story. Which perfumes would you choose? I wonder what Shalimar was like 90 years ago compared to what we have today. Hey Poodle. I imagine it’s somewhat different – a watered down version probably. I haven’t smelled vintage versions though. I’m a bit scared to go down that rabbit hole. And don’t think I can afford to pay the prices I see on ebay! If I ever get to the Osmotheque I will be heading straight for Shalimar though. I do think it’s pretty amazing that it’s still a seller after all these years and has a huge amount of fans. I wonder which Miss Dior they had in mind – the real one or the impostor? Well that’s an interesting question. 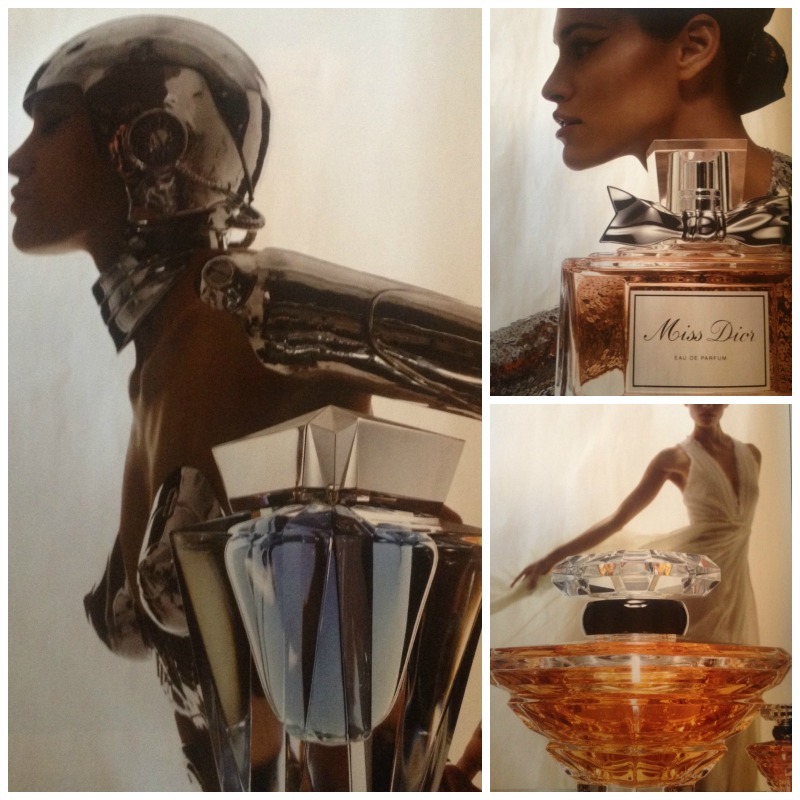 In the text they were clearly referring to the original Miss Dior yet the art work showed the new bottle. They made no reference to the different versions and either this was because it was too complicated or they didn’t know! Or perhaps Dior spends a lot of money with Vogue and they’re encouraged not to mention it? Who knows?